I am going to keep this short and sweet, since I know most of you will be spending today reflecting on America’s history, our freedoms, and of course enjoying the four “F’s:” food, friends, family and fireworks! But in case you are looking for one more recipe to make your 4th of July gathering complete make this Brazilian Lemonade! I have heard of Brazilian Lemonade but never really tried it or knew what made it so special. The secret ingredient is sweetened condensed milk. 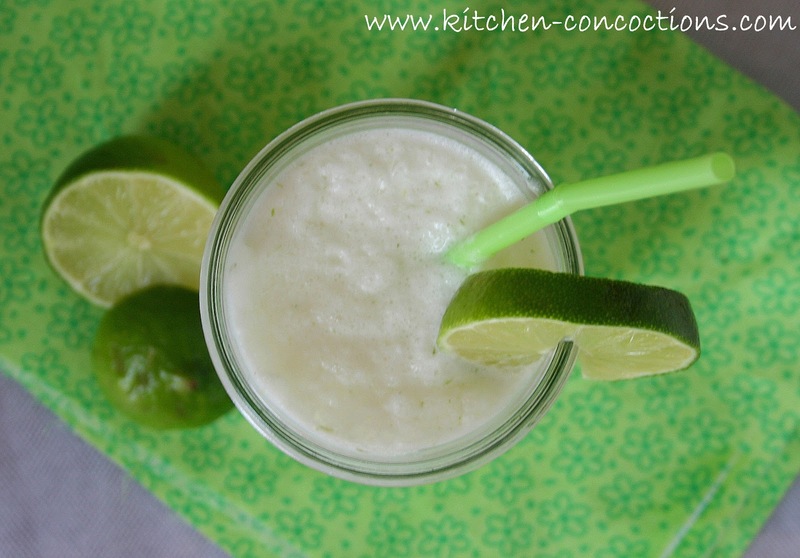 It may sound strange but it adds a nice sweet creamy flavor to this drinks and lends and nice froth to the overall drink. The recipe below can be enjoyed by all, kids and adults; BUT if you want a nice adults only drink, add in some rum for a refreshing cocktail. Hands down, this is totally going to be a ‘go-to’ thirst quencher all summer long! 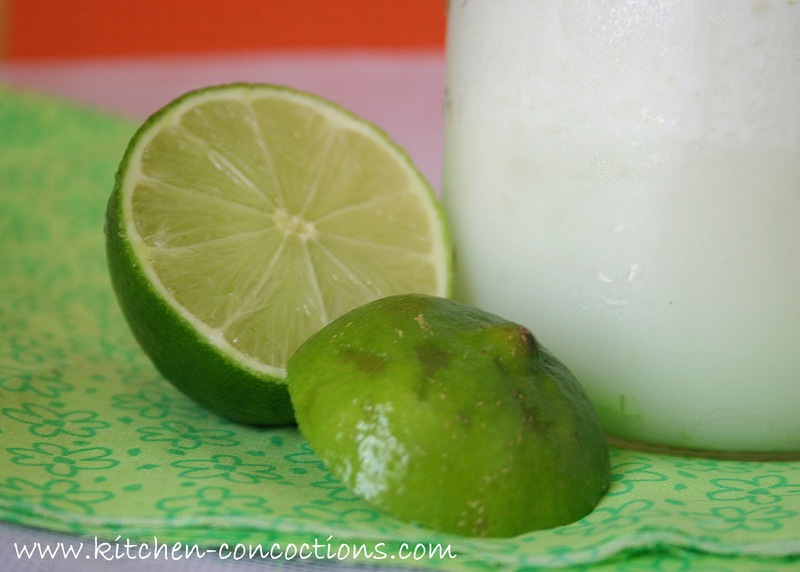 In a blender combine, lime juice and zest, sugar, sweetened condensed milk and water. Fill with ice. Blend, pulsing 5 times, until ice is crushed and drink is frothy. Serve immediately. NOTE: The froth formed from blending can be drained/scraped off and drank for a nice creamy element, whichever you prefer. 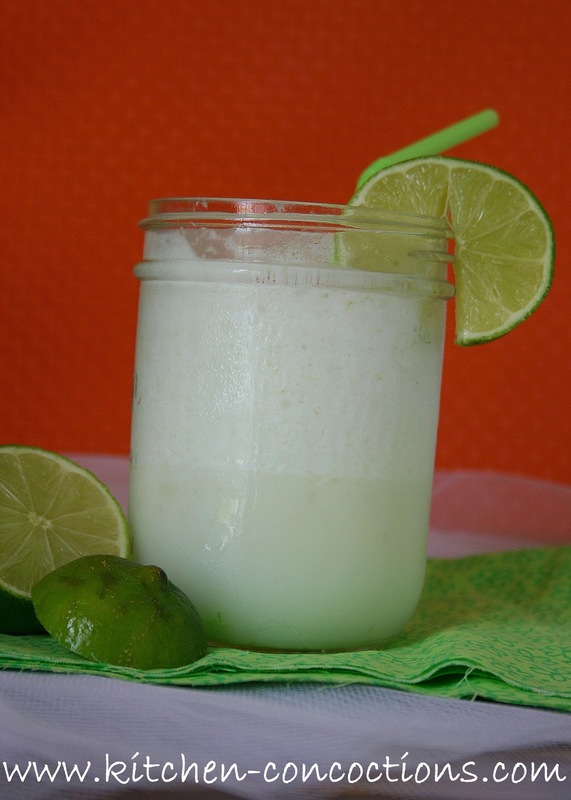 LOVE this drink – one of my summertime favorites!